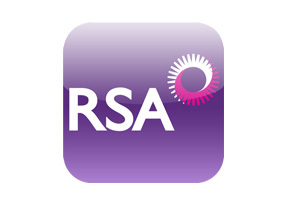 RSA, also known as Royal and Sun Alliance, is one of the oldest insurance companies in the world. In 1996 the merger between Sun Alliance and the Royal Insurers formed the RSA that is known today. The company has operating offices in 27 strategic locations servicing customers in more than 130 countries across Europe, North and Latina America, Asia and The Middle East. RSA offers a wide range of insurance policies that include medical, travel, motor, home and life insurance plans to families, corporate groups as well as individuals. The company is well regarded one of the most experienced and knowledgeable in underwriting and claims processing. The Russia medical insurance plans offered by RSA are highly flexible, allowing for tailoring of the plan to needs of a specific policy holder. RSA may offer plans that fully cover pre-existing and chronic conditions and provide a variety of premium payment methods. RSA prides itself on its ability to provide superior customer services winning a number of awards for its services. If you would like to get more information about RSA please fill in the query form at the top of this page. Alternatively you may contact us in order to seek expert advise directly from our knowledgeable Russia Health Insurance consultants.